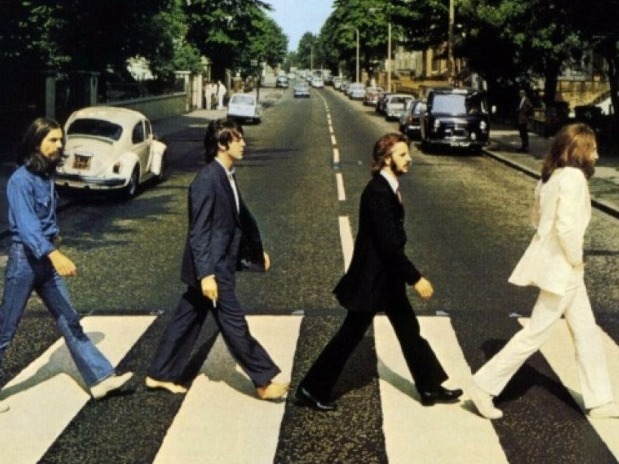 Today, the Beatles‘ Abbey Road turns 48. That’s right–Abbey Road is middle-aged. 1. When it came out, critics hated it. 2. John Lennon brought a bed into the studio for Yoko Ono to rest on and watch the band record. I’m gonna try not to bring the Yoko hate, but this is weird, right? Lennon and Ono were in a car accident halfway through the recordings for Abbey Road, and Ono had been prescribed bedrest by her doctor. Lennon, who insisted Ono be present for the recording process, had a bed installed in the recording studio so Ono could watch the band. Except Paul McCartney, who wrote and championed it, everyone hated the upbeat, lyrically upsetting song. Apparently McCartney made the band practice it over and over again, which tired George Harrison out. John Lennon called the song “granny music” and Ringo Starr apparently agreed, though he conceded that the group needed some granny music to appeal to a wider audience. 4. The cover of the album doesn’t have the name of the band or the album on it. The thought was, in choosing a cover for the album, that the Beatles were so famous, so iconic, that they didn’t need their name to appear on the album. The image of the street would serve as the title of the album. 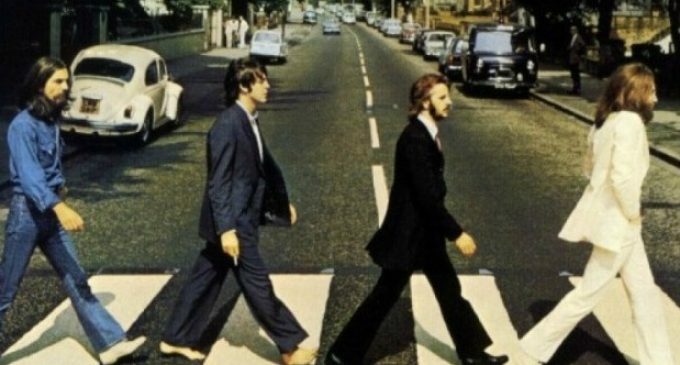 The album cover also apparently contributed to the rumor at the time that Paul McCartney was dead, with Beatles conspiracists positing that the line the band formed crossing the street was symbolic of a funeral procession. The 60s were a weird time. 5. Today, there is a live webcam of Abbey Road. Have you recently been to Abbey Road and want to see the footage of yourself goofing around at the crossing? Look no further than Crossing Cam. The website publishes a live feed of the exact crossing the Beatles took at the road. If you haven’t been, you can still experience the joy of watching tourists attempt to recreate the iconic cover photo from the privacy of your web browser.